Our offshore fire services division are available 24 hours a day, 7 days a week, 365 days a year, for urgent and emergency situations. Oil & Gas fire safety for the offshore industry is a number one priority. 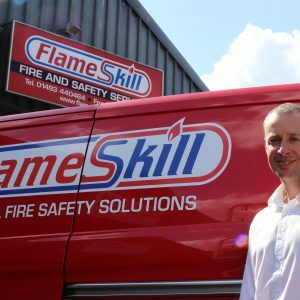 Flameskill offers a complete turnkey solution for all fire safety requirements, from the supply of fire safety products to providing specialist personal to service fire equipment on board. 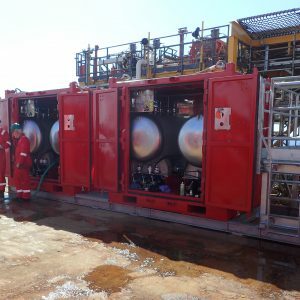 Flameskill has carried out fire safety services offshore on oil & gas platforms for 30 years, and has the necessary knowledge and expertise to carry out this service work on aging platforms. Flameskill has 30 years’ experience within the Offshore Oil and Gas industry. 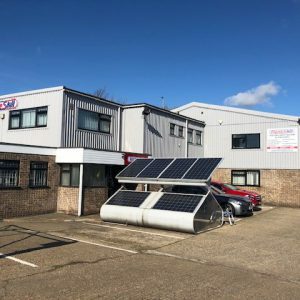 Our knowledge and expertise is second to none, and over the years we have built a reputation and loyal customer base all over the UK, including Aberdeen and Great Yarmouth. Our service ranges from the provision of both offshore fire service and survey through to workshop support, new equipment supply and product hire. Our dedicated workshop allows all service work to be undertaken in-house. Our products and services are wide and include firefighting equipment, lifesaving equipment, breathing apparatus, gas detection, fire detection and fire suppression. (Please see our services and products section). We can also provide full turnkey Helideck CAP 437 solutions, including requirements for helideck foam systems, circle H lighting systems, helicopter crash rescue equipment and associated fire and safety products. 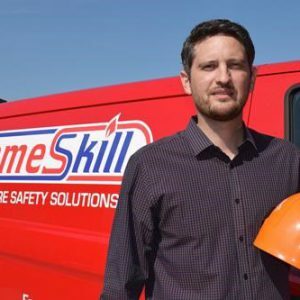 Both Flameskill and all personnel have the necessary accreditation and certification to carry out offshore fire servicing/survey, as well as being FPAL Registered. Click here for our accreditations.